This legal action is on behalf of 13 representative British citizens including Harry Shindler, a 93 year old veteran of WW2. 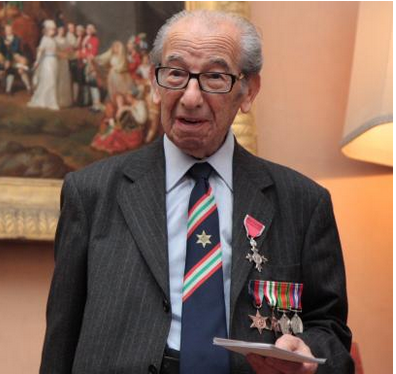 Our lawyer has said "We will defend one of the last veterans of the second world war who did not agree to vote for the loss of his future European citizenship when he risked his life for Europe's freedom." Breaking News: The case was heard by the General Court of the EU in Luxembourg on 5th July, before a panel of 5 judges. The next hearing is expected in October. THE FUNDING FOR STAGE ONE OF THE CASE HAS BEEN COMPLETED. PLEASE DO NOT DONATE FURTHER FUNDS HERE. THE STAGE TWO FUNDING FOR THE CASE, WHERE YOUR DONATION WILL BE WELCOME IS NOW VIA CROWDJUSTICE HERE . Any donations made to the original GoFundMe site will of course be transferred to the new fund. We really need your help to get this case into the court on July 5th. A Reminder to all of our wonderful donors: Stage two of the case is the hearing by the General Court of the EU on 5th July in Luxembourg. This will be a momentous day. Donations to the Crowdjustice site will be welcomed! Thank you from Richard Bird and the AFEV team. To all donors: The case will be heard on 5th July by the EU court in Luxembourg and the estimated legal costs are £45,000. The best vehicle for this is now CrowdJustice and we have set up a new funding for this stage which launches at 12 noon today, 8 June. Please then share like hot cross buns! You donated to the first stage, we urge you to donate to this second crucial stage. Please don't donate to the old GoFundMe site. Donations there will of course be transferred into the new CrowdJustice fund but we will lose 8% commission! Battling on. Richard Bird and the AFEV team. GREAT BREAKING NEWS from Julien Fouchet. The EU General Court will hear the case on 5th July. The panel of 5 judges will consider the claims which are apparently 'very interesting'. We will update with further news as soon as possible! This is not just about losing UK voting rights at what is a very crucial time in UK history. 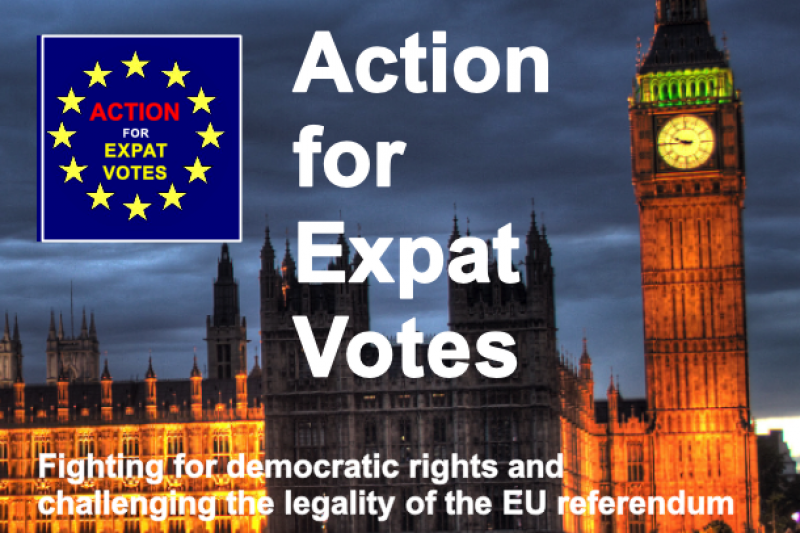 It is also about UK expats not naving the right to vote anywhere else in Europe either, without taking on another country's nationality. Surely the principles of universal suffrage mean that we all have the right to vote somewhere? I'm a Brit who has lived in the EU for over 15 years. I am angry that I did not get a vote in the Brexit referendum. My residence, employment, health, social and pension rights are at risk. I am married to a European who will lose rights in the UK. The rights of my children and their spouses are also at risk. This vote has taken away constitutional rights and we the people that had the most to lose had no say. We need to fight against this decision. It seems that approximately 4 million people..British and EU expats were denied a vote on an issue which affects their daily lives. Although the EUCJ may not be able to say who votes in a UK addvisory referendum, I disagree that Article 50 notice has been validly given. There are two stages needed, firstly to make a decision in accordance with the national constitution Art 50(1), then give notice under Art 50(2). Both require an Act of Parliament. The only Act of parliament on the issue concerns who is authorised to give the Art 50 (2) notice. The UK prime minister is taking the referendum result as the decision needed under Art 50(1). That is wrong because that decision needs an Act of parliament too (Miller case). Conclusion - the Art 50 notice is invalid under UK law. The European Commission is under a duty to act in good faith, which means they cannot simply plough on with Brexit once they know that the Art 50 notice is invalid under national law. Added to this the unclear position of the UK in the negotiations, often contradicting what was argued in the run up to the referendum is a further indication that there is no real consensus, and hence no decision to leave the EU as would be required for Art 50(1). Congrats on achieving your target of £7500. I'd like to highlight another point that should be addressed: the UK is one of the few countries that denies expats the right to vote in person in their embassies (rather than relying on a postal vote or proxy). I lived in France for 10 years and now live in the UAE, where I watched all my French colleagues happily vote in person in the French presidential election. Meanwhile I received my postal vote ballot far too late from Lambeth Council and my husband still hasn't received his. Finding a proxy in the last place we happened to live in the UK before moving abroad 11 years ago is not easy either. Why can't we nominate a proxy anywhere in the UK? Asking busy relatives or friends to cross London to vote at several different polling stations is unreasonable. 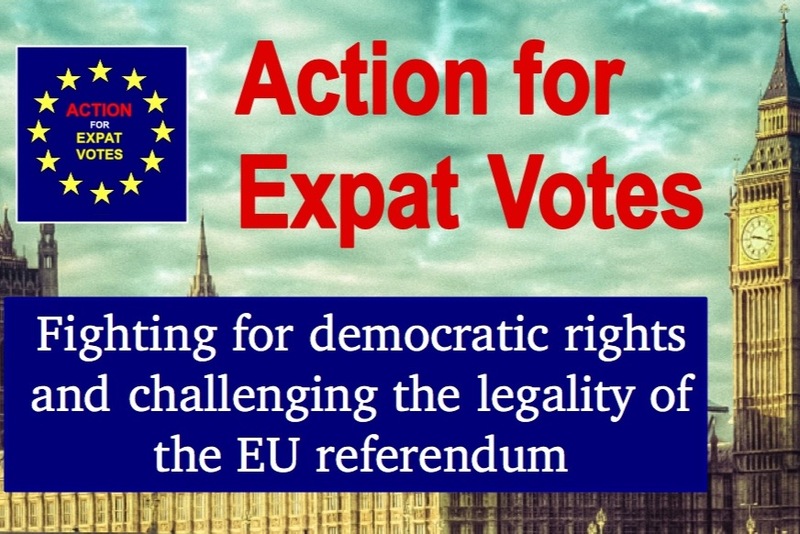 We should demand the same rights as other expats. The UK should not make it so difficult for us to vote. As an aggrieved Brit, it is me that says a heartfelt thank-you for your action, work and time to start the process of giving me and many others our democratic right to vote back. Many many thanks. Charlie B and family. The Netherlands government's appeal against the lower court ruling in the Amsterdam case gives what may well be some interesting clarification on what the EU Council are referring to when they say a definitive decision has not yet been made. The appeal document says that a definitive decision hasn't yet been made because the exit treaty has not yet been agreed. Of course from a UK perspective a definitive decision hasn't been made because only the UK Parliament can do that through primary legislation and Parliament isn't in a position to do that until it knows what the consequences of such a decision will be - see the Three Knight's Opinion for further details. One of the things that would help the wider campaign on protecting citizenship rights and parliamentary democracy is sharing information on the claims and the responses. The responce from the EU Council to this submission is potentially very significant for various other groups. The CJEU apparently doesn't make public the pleadings and responses so as not to disturb the "serenity of the court". Nevertheless sharing information via the CoHub would help other groups. Democracy has not been respected by those who claim to be democrats and presume to criticise others.. Shame ! But whats new? I'm a EU citizen who has lived in the UK for over 20 years. I am angry that I did not get a vote in the Brexit referendum. Our residence, our pension and taxes contributed over 20 years, employment, health, social and pension rights are at risk. I am married to another European and we can lose our rights in the UK. The rights of my children and their spouses are also at risk. This vote has taken away constitutional rights and we the people that had the most to lose had no say. We need to fight against this decision. It was discriminatory (as per the ECJ article 14) for both the EU and the UK to agree to discriminate 3.000.000 voters who moved to the UK within a legal framework which is now disappearing beneath their feet. We were the ones who could lose the most, and we were denied our democratic right to vote allowing others to decide our future. It is the equivalent of putting the EU citizens in the middle of the Roman Coliseum while the spectators choose to put thumbs up or down. Do we have a common ground with the expats? I think the EU should be challenged legally for agreeing discrimination of their own citizens. Also angry that I was denied the vote, expat living in The Netherlands since 1991. As an Expat Brit I can't see how the Brexit vote was even considered legal, basically anything between 3 and 4 million Expats were not allowed to vote in something that directly affects their futures, that is not Democracy in any sense of the word, this mess should be subject to a re-vote so our votes can be counted. If the Brit govt won't rectify this miscarriage of justice then the EUCJ should, 3-4 million Expats would like to vote on something that directly affects our future thanks. We can still defeat Brexit! Don't accept the "Just get on with it" philosophy"